Click Here To See Marvel Team-Up #5 Comic Book! 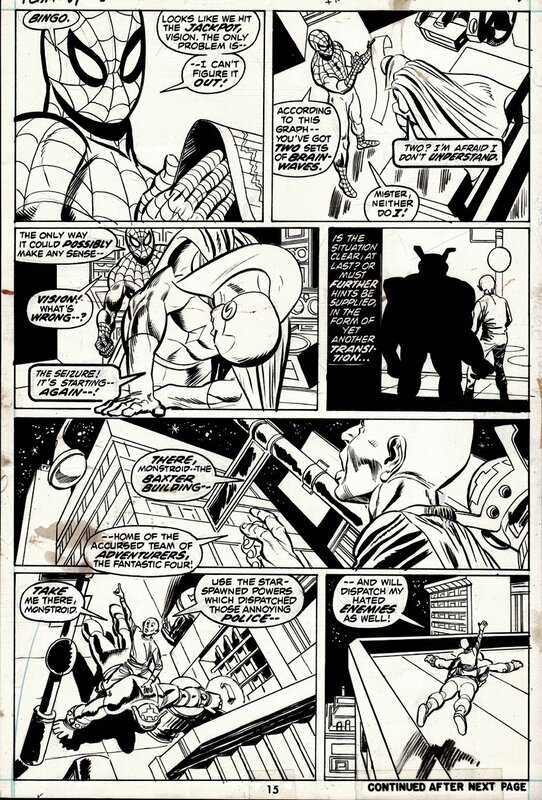 Check out this very nice 1972 BRONZE AGE MARVEL page, which was penciled by the great Gil Kane, and inked by the great ASM inker: Mike Esposito, from the story titled: "A Passion of the Mind!" This awesome page features Spider-Man and The Vision through top half of page as the Puppet Master takes control of a Skrull scout, not realizing that it has the same mental frequency as the Vision. 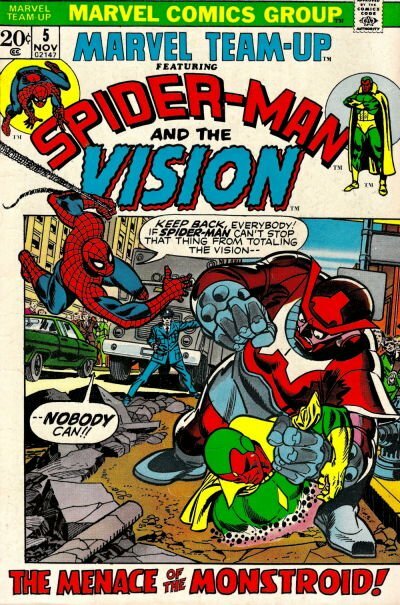 When he goes to attack the Baxter building and the Fantastic Four, he ends up facing the Vision and Spider-Man instead! BRONZE AGE Marvel Super hero pages are getting increasingly hard to find, so don't miss out on a great opportunity here to own a nice Bronze Age 1972 Spider-Man / Iron Man action page! ALL art on our website (including this one) are able to be purchased with VERY fair time payments, and trades are always considered towards "ANY" art on our website! Just send us an email to mikeburkey@aol.com and we can try to work something out.